We offer Red Mullet Fishes, which are used in Mediterranean cookery and consumed in baked & grilled forms with sauce, herbs, mushrooms, orange, fennel etc. These highly nutritious fishes are offered by us in safe packaging. TT croaker is one of the tasty fish. Due to the same this fishes are largely demanded by hotels and food industries owing to delectable flavor. We also offer this fishes in bulk quantity with international packaging maintaining its own nutrients value. 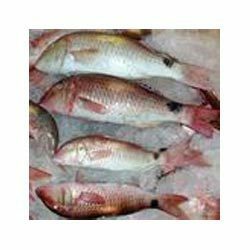 We are the most reliable company for providingGolden Snapper . This Golden Snapper Fish is appreciated for its unique taste and rich aroma. Also, our Golden Snapper is highly demanded for its long shelf life. Aqua Sea Food (India) Pvt. Ltd.
We have been able to earn a global name with the help of our outstanding services. Our Jewel Cichlids are popular as these are very attractive and available in outstanding colors which can captivates anyone’s attention. Our Jewel Cichlids are widely famous amongst pet lovers. Sail Fish available on daily basis. 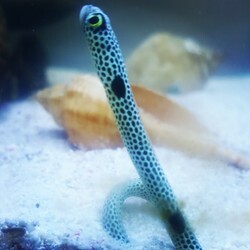 Wild caught, and tank bred marine aquarium fishes available. Smaller version of the Marine Catfish, considered a delicacy.The fishes before cleaned will be weighed.The 20% will get lost after cleaning due to wasteage.If you oder 1Kg, finally you will get cleaned fish of 800 grams. Blessed with the biodiversity of the Arabian Sea, the Indian Ocean and the Bay of Bengal, Cape Comorin is a rich resource of seafood. And we bring you only the exceptional range of quality fishes and other seafood varieties. We are offering to our clients a wide range of Sea Fish Procured from reliable fishermen, these fish are known for their hygiene, freshness and rich taste. We provide timely delivery of these fish in sealed packaging to ensure a higher level of customer satisfaction. Highly demanded in homes, hotels and restaurants.